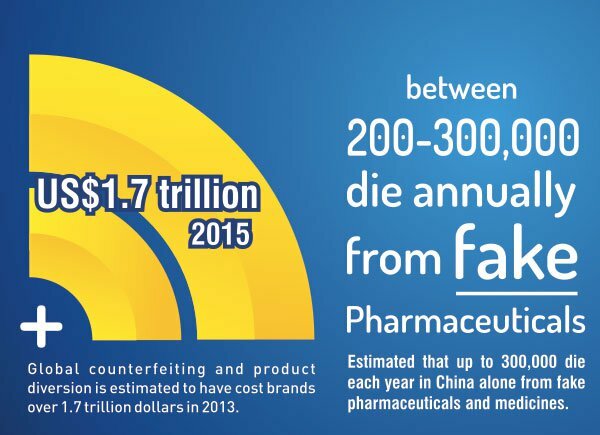 Fake medicines kill up to 300,000 people each year in China. Online craft marketplace Etsy just saw an 8% drop in its share price after claims as many as 5% of the site’s goods could be counterfeit or violate trademark laws. Luxury brands like brands like Yves St Laurent and Gucci are so sick of being ripped off they’re going to sue $10BN e-commerce site Alibaba over the sale of fakes. 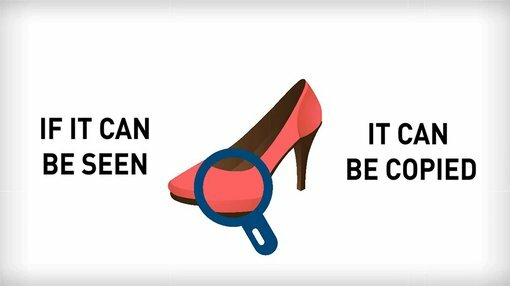 Counterfeit goods affect almost every industry on the planet and are estimated to cost more than $1.7 trillion in lost revenue. It’s a huge problem for brands across the globe, however it also represents a large business opportunity to companies who can solve it. One such company doing just this is Australian anti-counterfeiting technology developer YPB Group Ltd (ASX:YPB), which has just lined up a string of deals to sell its fake busting technology in the China and US, while also ramping up its operations in South East Asia. 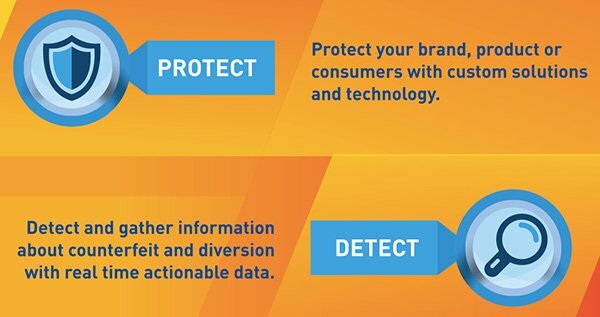 YPB has developed a range of technology solutions that can detect fakes and protect consumers and businesses from buying and distributing them. YPB’s main product offering is an invisible tracer made from rare earth materials that can be attached to any product or packaging to serve as a signal of authenticity. The tracers cannot be copied or removed once installed. YPB has also made a range of hand held scanners that can detect the tracers, and a newly launched mobile app and web based reporting platform called Brand Reporter, which gives consumers and businesses the ability to interact with products and verify their purchases. Rounding the technologies out, YPB has also developed the ability to provide Intellectual Property Protection through its acquisition of a specialist US group, and has also just entered the security printing market through a strategic partnership with a US printing firm. 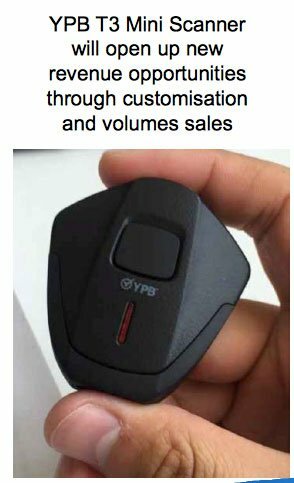 YPB is now rolling its fake busting technology out across the world with sales already achieved in China through a number of deals with small and medium sized Chinese manufacturers. The company’s overall strategy is to establish itself in markets worldwide and position itself as an industry leader in the field. YPB is also aiming to secure contracts to protect consumers and brands in the online retail space. This space has seen much media attention with companies such as the $10BN Chinese e-commerce giant Alibaba, which is trialling various methods to fight counterfeiting. To help bag more clients in key markets, YPB is moving to set up a South East Asia hub in Thailand that will help create more business opportunities in the ASEAN economies. The Bangkok-based hub will provide YPB with a focus point for its efforts to expand its business in the growing Asian economies, where the manufacturing of goods that are often counterfeited takes place. The hub itself will be based around a high profile security company YPB recently acquired for $500,000, Intellectual Product Protection Group Limited (IPP Group), which is linked to the US Department of Homeland Security and is a leader in the field of government security, such as the verification of e-passports. YPB will also integrate its new look Brand Reporter mobile solutions in China, and other Asian nations as it expands its business presence across the region. To facilitate this strengthened Asia focus for YPB, the company has appointed IPP Group’s founder and President Tim Merchant as its Chief Technology Officer. Merchant is a 35-year veteran of the security industry and has long experience providing security solutions to both governments and brands. In addition, YPB has promoted Non-Executive Director Robert Whitton to the role of Chief Financial Officer, drawing on his more than 30 years worth of experience as a Certified Accountant and Certified Fraud Examiner. Meanwhile, YPB is set to rake in total gross revenues of A$26M over four years from its existing list of major clients, who are now taking delivery of invisible tracers, master batch inks and scanners. Hundreds of millions, potentially hundreds of billions, of products made in China will soon be protected by YPB’s anti-counterfeiting technology. YPB has a four-year contract with Hicap and a five-year term with Shensaier, so these deals represent significant regular business for YPB, with revenue flowing steadily. Shipments of the tracers, inks and scanners are now underway and will soon protect alcohol bottles, cigarette packages and other bottle closures from counterfeiting. YPB’s CEO, John Huston, says making the first deliveries of his company’s technology to paying clients is a big step forward. “The commencement of shipments following extensive factory and customer trials is one of the most important milestones YPB has achieved in our time as a listed entity,” he says. The market for security printing in the USA is predicted to reach $35BN by 2018 – and YPB is now positioning itself to carve out a large slice of it. YPB has just signed a binding agreement with US security printing firm Continuous Forms Control (CFC). CFC is a California based printing company with over 40 years of experience in the industry and the deal will see both companies work jointly to develop and sales and distribution platform to attack the global market for printing and packing. There is also scope for YPB to acquire CFC through a sale and purchase agreement. This deal looks set to generate immediate revenues for YPB, because CFC has a well-established paying client base including fashion labels, product packaging and pharmaceutical labels. 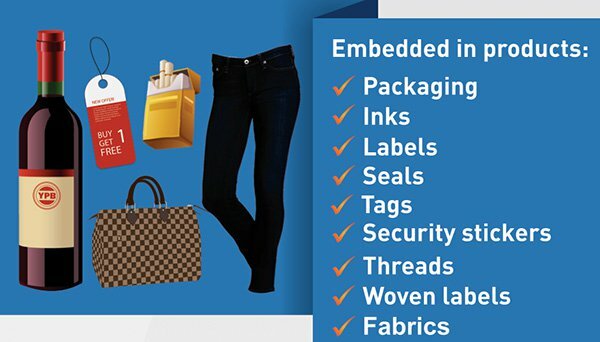 YPB’s Invisible Tracer technology will be integrated into the inks CFC uses for printing, and then the scanner will be used to authenticate the products. In addition, the Brand Reporter app will be made available for consumers to scan the products and authenticate them. YPB’s CEO, John Huston, says CFC’s strong client list and sales force means immediate revenue is attainable through the deal. “We see great potential for this smart business model to control more of the supply chain or printing, resulting in the Company making margin on printing, packaging, codes as well as our tracer material, scanners and Brand Reporter,” he says. Looking ahead, YPB is working to develop and launch much smaller versions of its proprietary scanner and sell it directly to consumers. These new developments are part of YPB’s strategy to create a wide range of technology solutions for detecting and protecting form fakes that can be sold to both businesses and consumers, creating a true end to end solution. The information in this website is general information only. Any advice is general advice only. Your personal objectives, financial situation or needs have not been taken into consideration. Accordingly you should consider how appropriate the advice (if any) is to those objectives, financial situation and needs, before acting on the advice. S3 Consortium Pty Ltd (CAR No.433913) is a corporate authorised representative of AG Capital Markets Pty Ltd (AFSL No. 292464).